I originally posted this in March 2014. Now I’ve updated the information with links showing that is Paleo and Gluten Free. 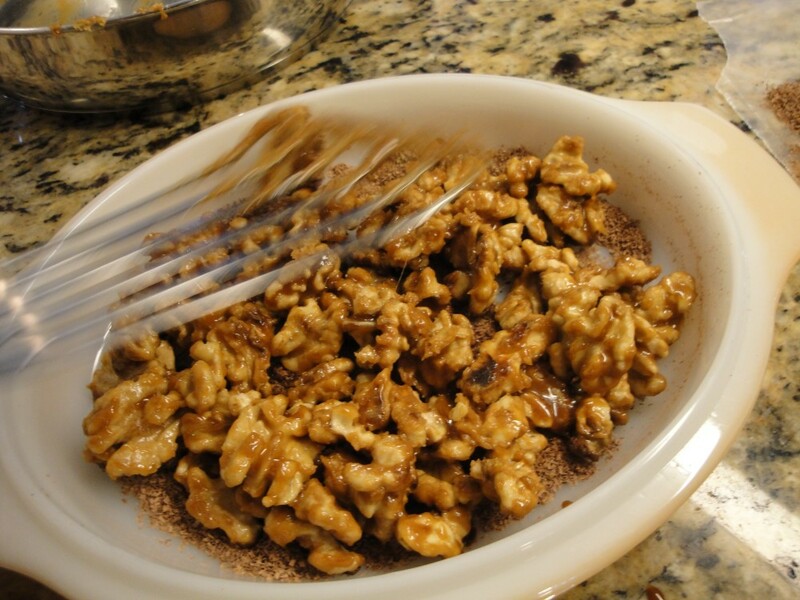 This is an amazing, healthy, very low sugar dessert. Paired beautifully with Earthquake Zinfandel. The incredible pop from the nut tannins intensifies the wine. 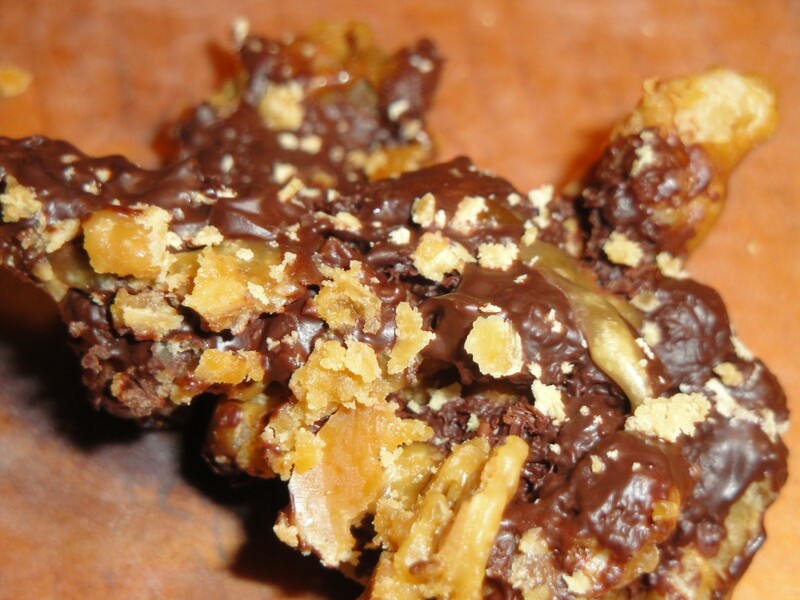 The dark chocolate brings out the wines spices and fruit. 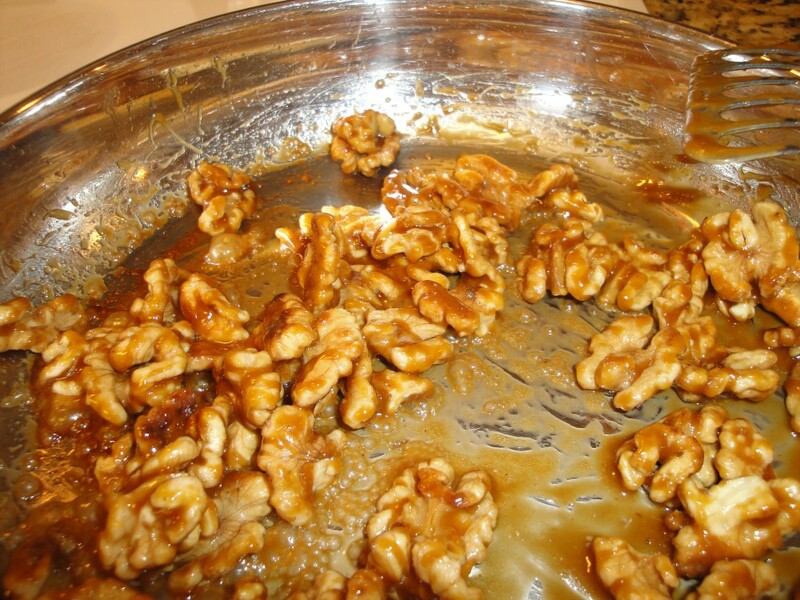 The sweet toffee starts crisp, but melts after a moment, in the mouth. Love it! 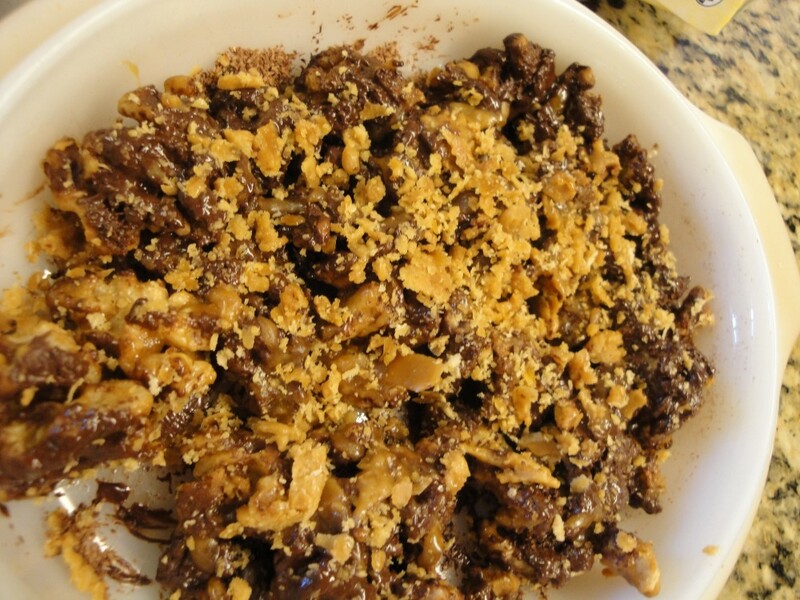 Grate chocolate and place half in shallow dish. 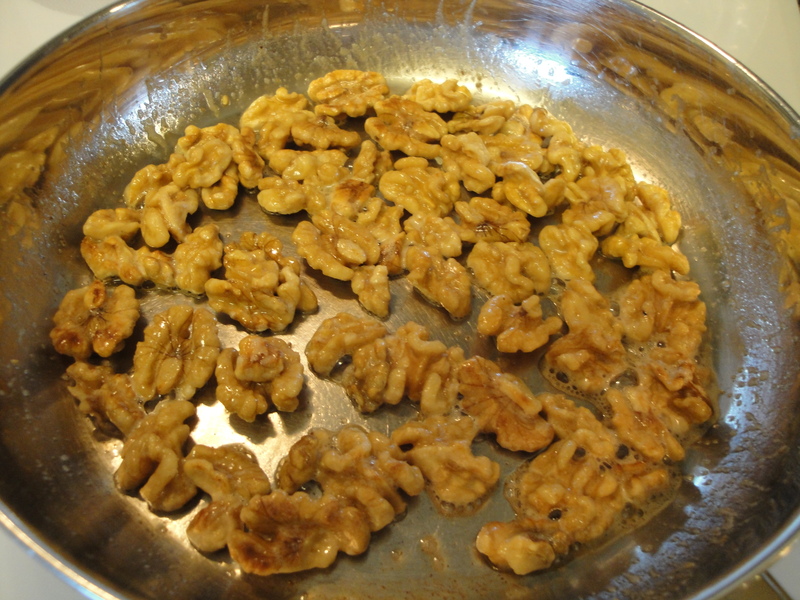 Pan roast walnuts in butter on medium heat, until lightly browned. 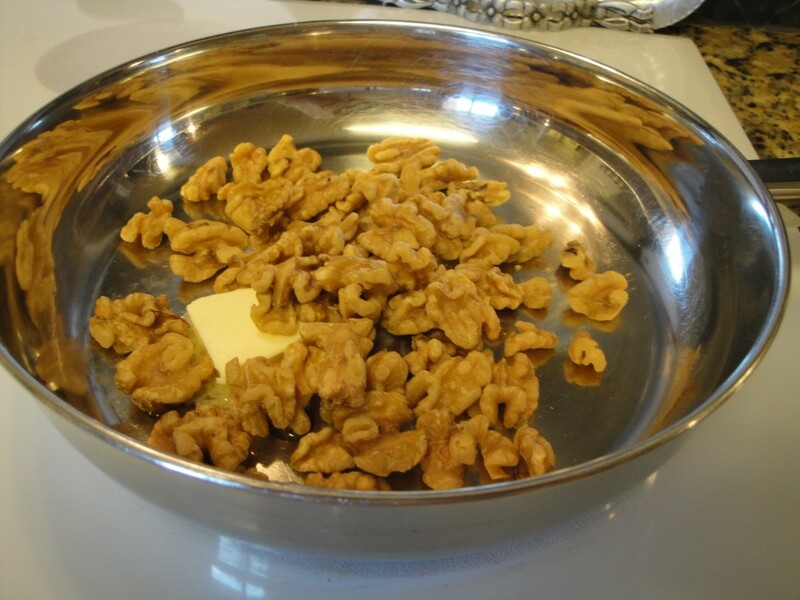 Add syrup and coat nuts well. 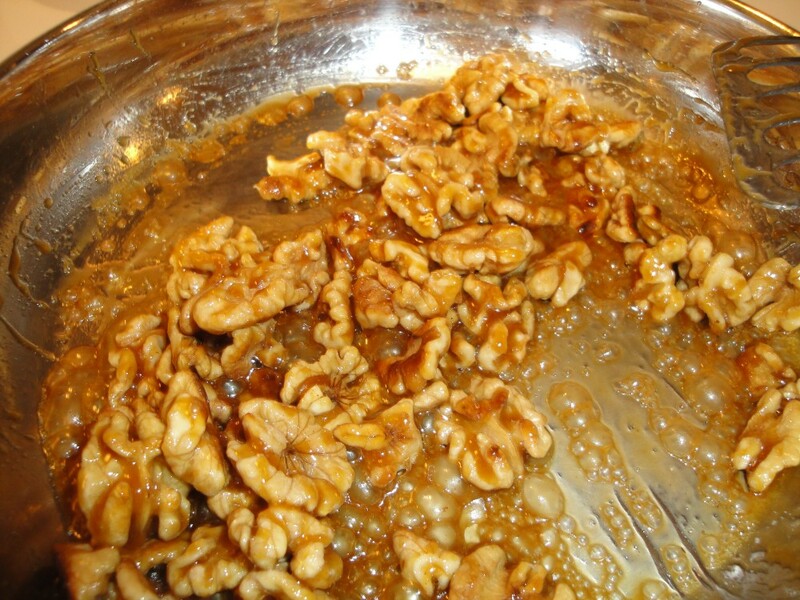 The mixture will start to caramelize. 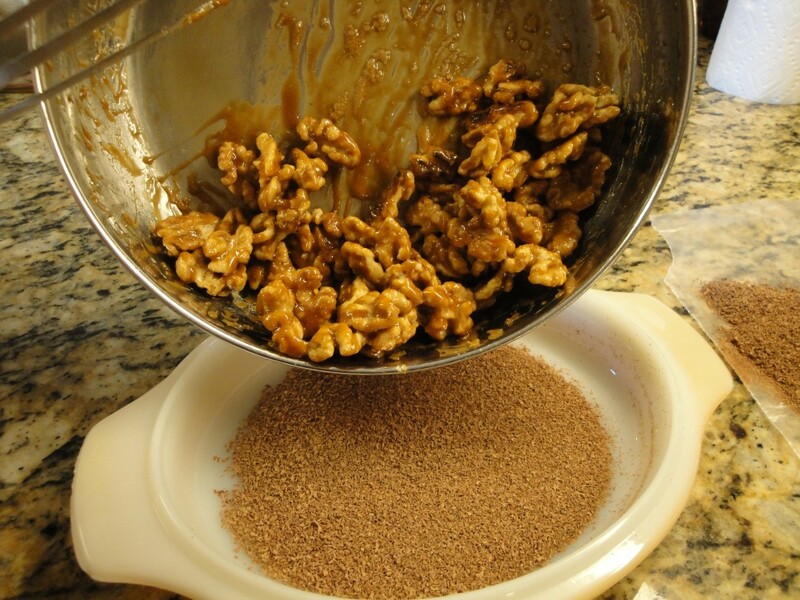 Once the color is deep and sticking to the nuts, remove from heat and quickly spread over grated chocolate. 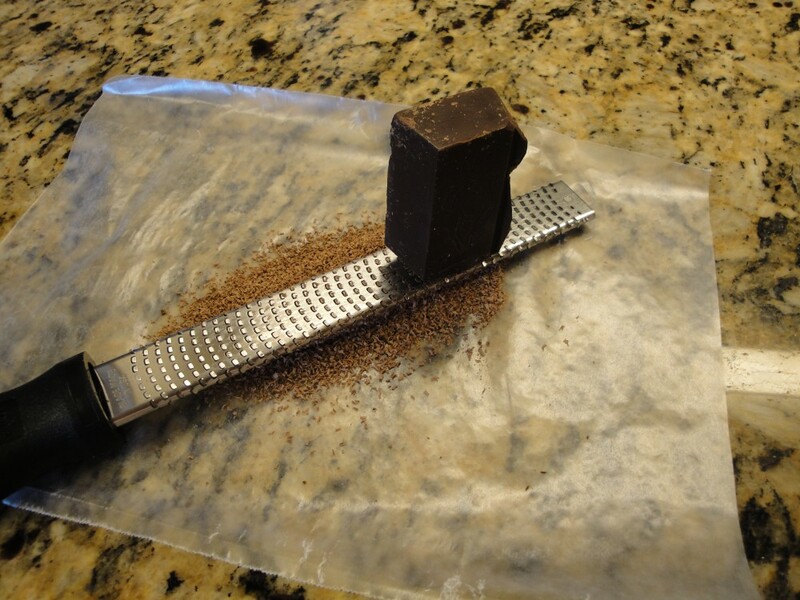 Cover with the remaining grated chocolate. 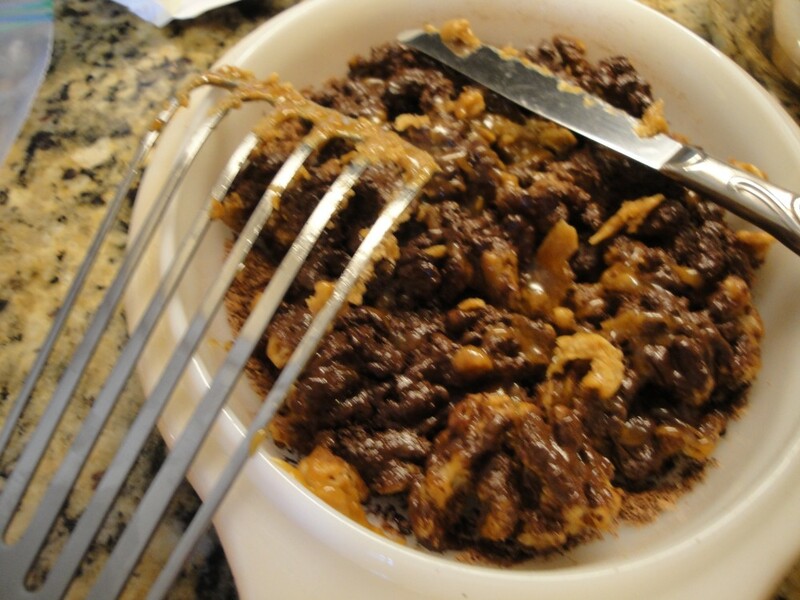 Some of the hard candy might have stuck to the pan or utensils, heat a moment to loosen then scrape off onto the top of chocolate. Enjoy!